We cannot talk enough about how wonderful backyard chickens are for your yard and for your family. Pet chickens are incredibly interactive and will seek out your company if outside. Why are chickens so wonderful? and of course...lay glorious eggs just for you! Visit our CITY CHICKS store for more information on these amazing creatures. 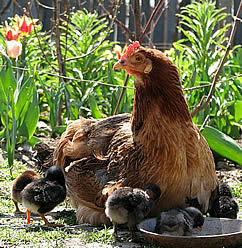 City Chicks is the trusted name in setting up chickens in your backyard.